BOYLE, JOSEPH WHITESIDE, sailor, entrepreneur, prizefighter, sourdough, intelligence agent, and royal confidant; b. 6 Nov. 1867 in Toronto, youngest of the four children of Charles Boyle and Martha Bain; m. first 1889 Emilie Josephine Raynor in New York City; m. secondly c. 1908 Elma Louise Humphries in or near Detroit; d. 14 April 1923 in London, England. Despite a plethora of unsubstantiated claims about his achievements, Joseph Boyle is one of Canada’s genuine but little known heroes. Of Irish and Scottish parentage, he moved with his family to Woodstock, Ont., when he was very young. There his father, a racehorse trainer, continued his business and became a successful cattle breeder. Thoroughbreds trained by him won the Queen’s Plate in 1862, 1883, 1897, and 1898. Educated in 1883–84 at Woodstock College, a school with a strong Baptist tradition, Boyle often accompanied his father to racing meets, and it was during a trip to New York in 1885 that he ran off to sea. Three years later he returned to the city a mature, hardened young man. Almost immediately he married a young Belgian divorcee, Emilie Raynor. Profiting from his father’s turf connections, he then started a successful feed and freighting business. By 1896, in addition to Emilie’s son by her previous marriage, there were three children, a son and two daughters, and a third daughter on the way. The union was never a success, and following its failure that year Boyle, a strong, powerful, heavy-limbed, and rugged-looking six-footer who had become involved in sports, undertook to manage and spar with an Australian heavyweight, Francis (Frank) Patrick Slavin. Hoping to capitalize upon Slavin’s reputation – he had fought notable bouts in England and was once considered to be a contender for the world championship – the two embarked on an exhibition tour that eventually took them to Juneau, Alaska. Arriving at the height of excitement over the Klondike gold strikes they headed for the diggings in July 1897, joining the first party to reach Dawson via the White Pass. By then, however, most of the choice gumboot mining sites had been staked and Boyle, realizing that fortunes could still be made by using hydraulic methods on ground unsuitable for pick-and-shovel mining, left Dawson for Ottawa in September, intent upon obtaining a concession from the federal government. On 1 December Slavin, who remained behind, applied on their behalf for a lease of ground on the Klondike River. Through persistent lobbying of Clifford Sifton, the minister of the interior, Boyle, who bought out Slavin’s interest in the partnership in 1899, was on 5 Nov. 1900 finally granted a lease on approximately 40 square miles fronting the river between the mouths of Bonanza and Hunker creeks. In spite of local opposition and numerous law suits Boyle gained control of the Canadian Klondyke Mining Company Limited in 1909. With subsequent financial backing from English interests, notably Granville Mining (of which Arthur Newton Christie Treadgold* was managing director), he consolidated his control in 1911–12. He then parlayed his concession into a placer empire which at its zenith consisted of four dredges (three of them the world’s largest) and a power plant to operate them (a plant which also enabled him to become the sole supplier of electricity to Dawson). 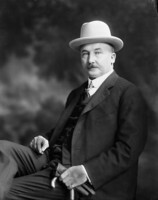 Civic- and sports-minded, Boyle spearheaded efforts for community improvements, promoted boxing events, and in 1904–5 financed a hockey team, variously known as the Klondikers, the Nuggets, and the Wanderers, which unsuccessfully challenged the Ottawa Silver Seven, the Stanley Cup holders [see Francis Clarence McGee*]. With the outbreak of World War I, Boyle, too old to enlist, volunteered to recruit and finance a 50-man machine-gun company, a contribution for which he would be awarded the honorary rank of lieutenant-colonel by the minister of militia and defence, Samuel Hughes. As the conflict continued his mining company began to experience money problems and operational difficulties, forcing him to travel to England in 1916 to meet shareholders. There, to the detriment of his business affairs, he undertook a mission to Russia on behalf of the American Committee of Engineers in London to help reorganize the country’s railway system. Boyle reached Russia in July 1917, and despite grudging support from the British Foreign and War offices, and difficulties caused by Bolshevik revolutionaries, he was instrumental in rationalizing rail traffic within the military zone extending from Petrograd (St Petersburg) to Odessa (Odesa, Ukraine). In November his leadership proved to be decisive in clearing the Moscow knot, a bottleneck of abandoned, damaged, and destroyed rolling stock paralysing the city’s marshalling yards. His part the following month in returning the Rumanian archives and paper currency – not, as claimed, bullion and the crown jewels – from Moscow, where they had been sent for safekeeping, and his efforts in February 1918 as the principal intermediary on behalf of the Rumanian government in effecting a ceasefire with revolutionary forces in Bessarabia were notable exploits. They, together with his rescue in March–April of some 50 high-ranking Rumanians held in Odessa by revolutionaries, made Boyle a national hero in Rumania and a powerful influence within its royal court. At the Paris Peace Conference in 1919 he was instrumental in helping the country to obtain a $25-million credit from the Canadian government. He was rumoured to be Queen Marie’s lover, but there is no incontrovertible evidence to substantiate this claim. 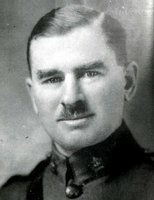 Throughout his service in Russia and Rumania, Boyle, in cooperation with Captain George Alexander Hill, a Russian-speaking member of the British secret service, and the extant intelligence network, carried out clandestine operations against German and Bolshevik forces in Bessarabia and southwestern Russia. Unilingual, disdaining disguise, and insistent upon wearing his Canadian uniform (to the exasperation of British and Canadian authorities), he received altogether eight decorations from Great Britain, France, Rumania, and Russia. By the time Boyle returned to England in 1919 his Klondike holdings were in receivership. To recoup himself he attempted on behalf of the Royal Dutch Shell petroleum company to secure an oil concession in the Caucasus from the Soviet government. The venture failed, and Boyle, who had never fully recovered from a stroke suffered in 1918, died of heart failure in Hampton Hill, London, on 14 April 1923. The Times noted the passing of “a man of iron build, square-shouldered, blue-eyed, level-browed, with an indomitable will and somewhat turbulent disposition.” Boyle’s remains were returned to Canada in 1983 and reinterred in Woodstock. William Rodney, “BOYLE, JOSEPH WHITESIDE,” in Dictionary of Canadian Biography, vol. 15, University of Toronto/Université Laval, 2003–, accessed April 20, 2019, http://www.biographi.ca/en/bio/boyle_joseph_whiteside_15E.html.